IS THERE A PODCAST IN YOUR FUTURE? Have you noticed that many of our social media posts mention the benefits of a podcast? From our perspective, it is a great marketing tactic and a great tool for meeting prospects. 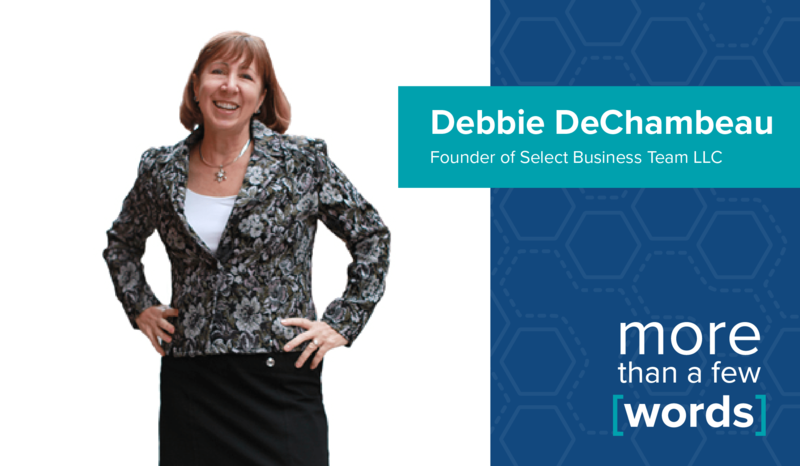 Our sister company, Select Business Team recently created a blog post about being interviewed on the show, More Than A Few Words, about the basics of starting your own show. From a marketing perspective, a podcast creates exposure. Each episode can be shared on different media platforms like iTunes, Stitcher and Google Play. In addition, a podcast can be transcribed, providing content for the website. Content can then be shared on different social media platforms. Snippets from a podcast can also be embedded into a graphic creating unique item shared on social media. For those brave enough, it is easy to record video while recording the podcast. This creates material for YouTube and other video sites. Even without a live video, a podcast can be modified for uploading to YouTube. So why hasn’t everyone jumped on the bandwagon of creating a podcast? It is a fairly new form of media and unfortunately, not everyone knows what it is. It isn’t mainstream like a website, yet! Another reason why more companies haven’t started yet is that it is perceived as a trend and it really isn’t wise to invest in something trendy. I agree that companies should not follow the shiny object when it comes to marketing. However, this is one sales and marketing tactic that will have a large ROI (return on investment). There are so many benefits to podcasting that the first companies to dive in are going to be way ahead of the competition with client attraction. Our sister company, Select Business Team, recently celebrated one year of podcasting. Listen to the anniversary episode and let us know what you think! Is It Time To Create A Podcast For Your Conference or Event?